Deep red meets deep sea. 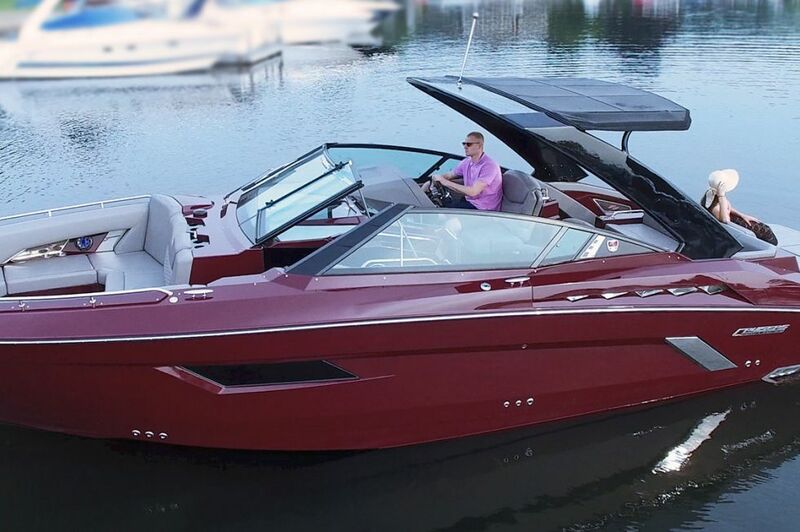 Meet new horizons on this all-new, striking deep red Cruisers Yachts boat. Sporting the classic, top-notch features you'd expect from Cruisers Yachts, you can cruise with confidence and stunning new looks. You're the master of your waters. Command your boat from the exciting Helm, offering refined wood and metal finishes, smart screens, the latest cruising technology, and more. Socialize in the deep Bow Seating of the 338 Palm Beach. 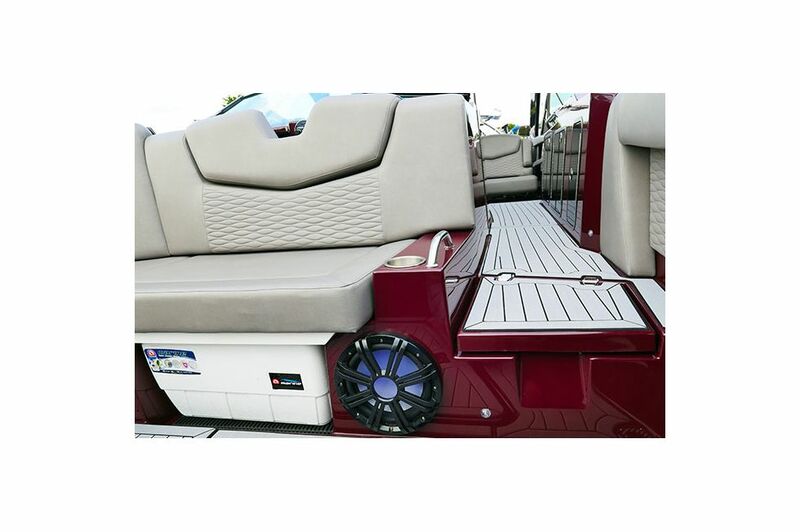 Available in various upholstery colors, the Bow Seating area is your destination for unforgettable on-water bonding. Need a break from the sun? Retreat indoors to the tranquil Interior, offering seating for both you and your friends to nap, chat, and refuel before rejoining the above-deck activities. 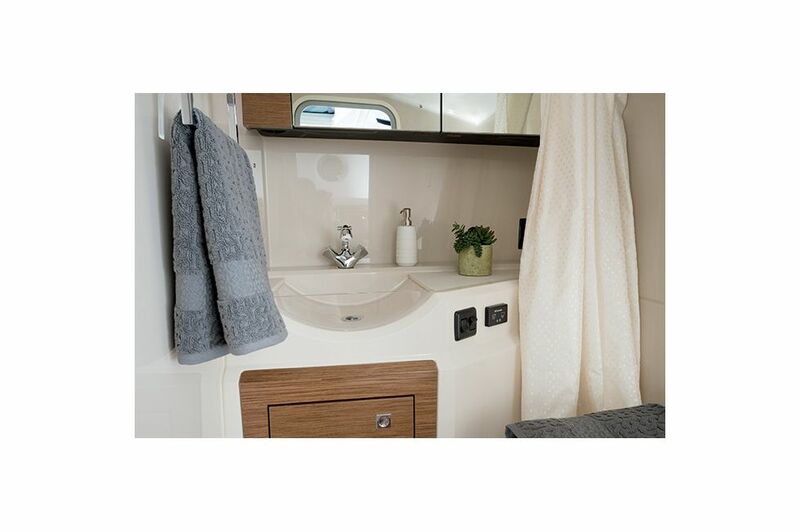 The 338 Palm Beach's Head offers all the comfortable on-shore amenities you require on the water, including a sink, toilet, and shower system. Zen out on the plush Convertible Sunpad. Quiet, spacious, and comfortable, retreat to the Sunpad with friends for a relaxing escape from your day to day. Catch some rays or join in the play on the spacious Swim Platform. 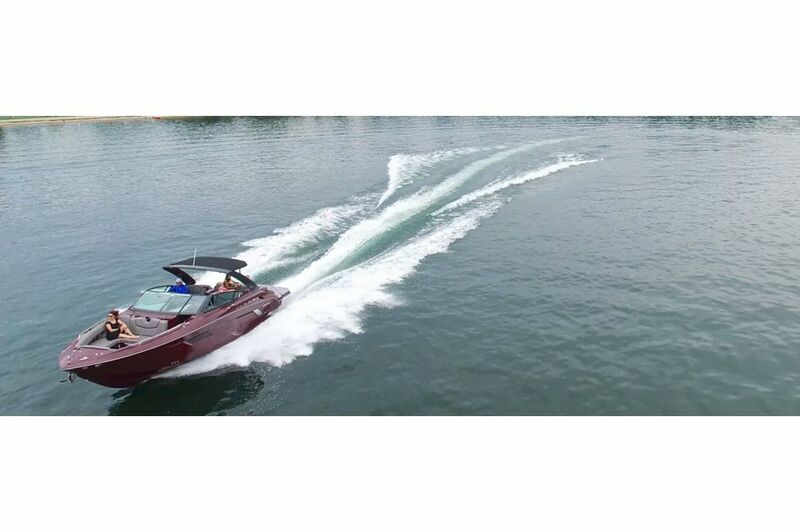 Featuring a comfortable lounge couch, you can watch the watersports fun or jump in yourself! Pack all your watersports gear, food and drink, tanning necessities, and anything in between. 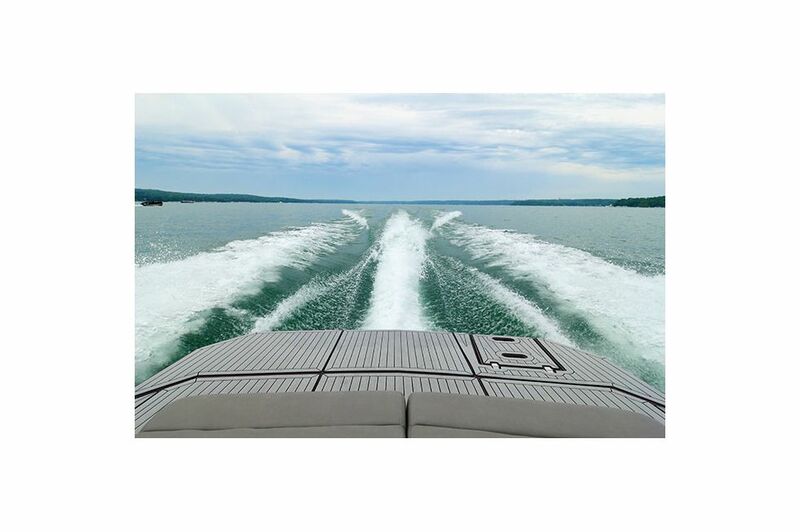 The 338 Palm Beach has space to fit all your must-haves on the water. Cool off with a crisp refreshment or fuel up with your favorite snacks. The easily-accessible Cockpit Fridge can store all your favorite summer treats. Black Cherry never looked so striking. 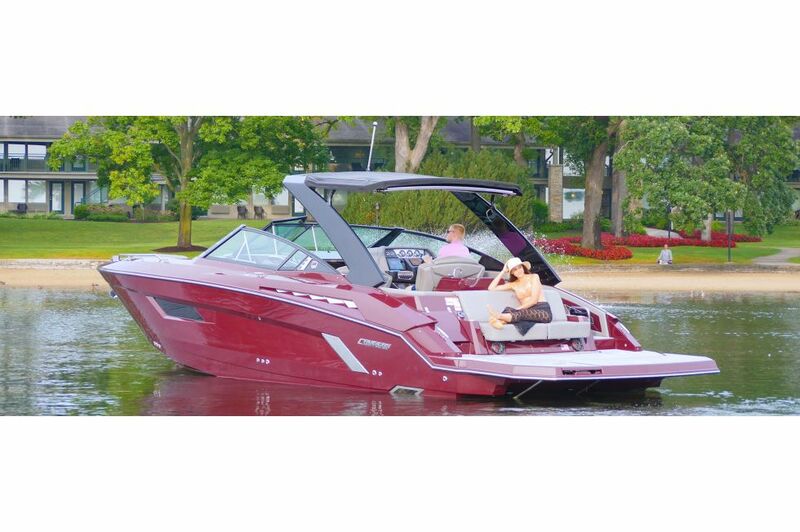 Hit the open waters with the most striking color of the season and turn heads from shore to shore.